PALMETTO BAY, Fla. - Chanelle Mendoza posted a video on her Facebook and it’s now gone viral. 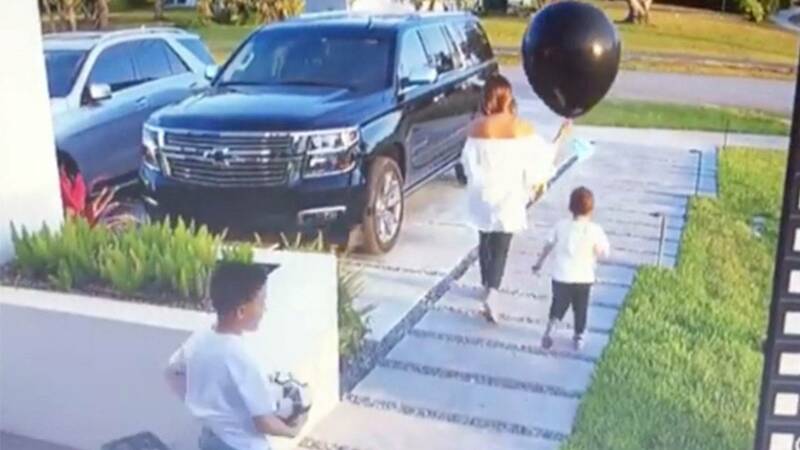 Mendoza was carrying a large black balloon filled with confetti to her gender reveal party when one of her two sons ruined the big surprise. You can see one of her sons in the video run-up to the balloon with a plastic sword and pop it. It’s not the first fail for this gender reveal either, according to her post. The second gender reveal balloon popped at Party City and the third had three pieces of confetti, she wrote in her Facebook post. **Update: The embedded video has been removed from this article as it was licensed to a third party after it was initially published. The video can still be seen here.